How to hire online writing service to get good grades in your Academic credentials? Check out Mumbai Animation studio list with updated details of job inquiry email id and contact numbers. Fresher artists can also apply for roto and paint job at internship level based on in-house test. 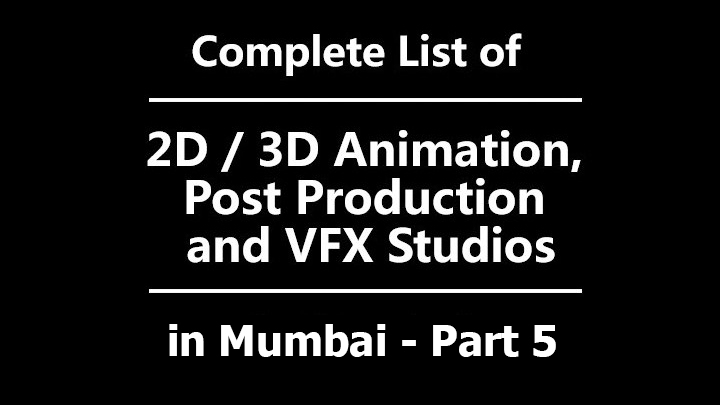 This is the fifth part of comprehensive Mumbai Animation studio list for fresher and experience digital artists. All the details are taken from official sites and social media pages. You can contact studios to get freelance roto and paint jobs along with your demo reel. 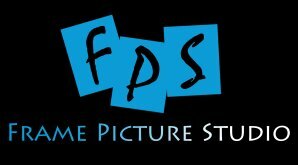 All the official studio logos are copyrighted property of the respected studio. 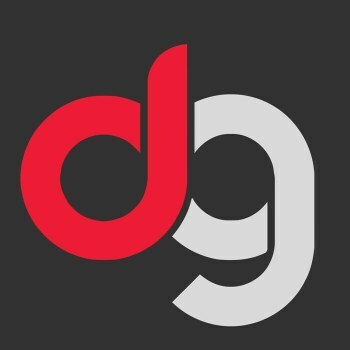 They are shown here for their own branding purpose, visibility and quick resemble only. However, if the studio owner don’t want to show his/her studio logo, kindly mail here and the logo will be removed from the post. A – 58 / 59, Giriraj Industrial Premises, Mahakali Caves Road, Andheri(East), Mumbai – 400 093. B/601, Keshav Shrishti, Behind Gangar Eyenation, L.B.S. Marg, Bhandup (West), Mumbai – 400 078. Kawathkar House, Plot No. 20, Sector-6, Koparkhairane, Navi Mumbai- 400 709. 502 A New, Crystal Plaza, Link Road, Andheri (West), Mumbai – 400 053. Click here, go to ‘CAREERS’ section and upload your resume. Shop no. 1,2 & 3, Elite Co-Op. Housing Society, Sector 10A,Next to Reliance Fresh, Vashi, Navi Mumbai – 400 704. There is no landline contact number. Plot no 131, Shivam Bunglow, Op. Kitty Gym, Sector 3, Part II, Charkop, Kandiwali (West), Mumbai – 400 067. Bungalow 120, Mahada, 4 Bungalow, S.V.P. Nagar, Andheri (West), Mumbai – 400 053. 259/14, Deccan C6ourt, Near Shroff Eye Hospital, S.V. Road, Bandra (West), Mumbai – 400 050. Plot no. 7, RSC 10, Road no. 10, Sector 2, Charkop, Kandivali (West), Mumbai – 400 054. 01, Simran, Ground Floor, Veer Baji Prabhu Deshpande Marg, Off Tejpal Scheme, Road No. 4, Vile Parle (E), Mumbai – 400 057. Head Office : #110, Quantum Towers, 1st Floor, S.V. Road, Malad (West), Mumbai – 400 067. 022 2889 9443. Post Production Studio : #104, Ekta Co-Operative Housing Society, Wing – A Shivdham, Near Oberoi Mall, Goregaon (East), Mumbai – 400 064. 102, Jai Krishna Complex, Opp. Yashraj Films, Near Fun Republic, Off New Link Road, Andheri (West), Mumbai – 400 053. Shiv Smriti Chambers,49, Dr. Annie Besant Road, Mumbai – 400 018. 801/802, Sai Arpan, Sai Complex, Next to Vora School, PG Vora Road, Sai Baba Nagar, Mira Road (East), Mira Bhayandar – 401 107. 444, The Corporate Lounge, Linking Road, Khar (West), Mumbai – 400 052. Mohan Mills Compound, Kolshet Road, Dhokali, Thane (West) – 400607. 43, Azad Nagar Road, Azad Nagar 2, Jeevan Nagar, Andheri (West), Mumbai – 400047. Unit no. 205 & 206, Multistoried Building, SEEPZ-SEZ, Andheri (East), Mumbai – 400 096. Amit Mozar is Arts and Media professional with 11+ years of experience and knowledge in various essential verticals of Animation, Visual Effects, Training, Educational operations, Editorial, Business and Social media marketing.Expertise ranges from being a VFX Artist, Trainer, Writer to executing Management functions. Thank you for the wonderful & extremely useful information. May I know on what basis, you have sequenced the 77 VFX Studios. I would like to request you to please include Drishyam VFX in the first List. I had mentioned in the first part of this series that there is no parameter or alphabetic order for the list. However, I had placed Drishyam in the first list. That’s great…Thank you very much Mr. Amit Mozar! Given email ids are updated. Check it out. Where do students go when they need paper writing help? Ewritingservice.com is the answer. Writers at Dissertation Team will work on your dissertation according to your instructions. Paperwritten.com takes pride in its impeccable essay writing. Leading Animation and VFX blog 'The Virtual Assist' by Amit Mozar is licensed under a Creative Commons Attribution-NonCommercial 4.0 International License. All third party brand names, logos, product names, trademarks and images appearing in this blog are property of their respective owners. They are creatively customized only with the purpose of sharing the information better. ©2019 The Virtual Assist™. All Rights Reserved.